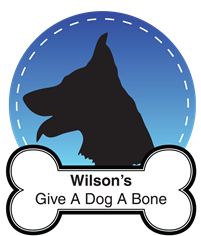 *This post is sponsored if you wish to know more please read my disclaimer in contact & disclaimer at the top of my blog. 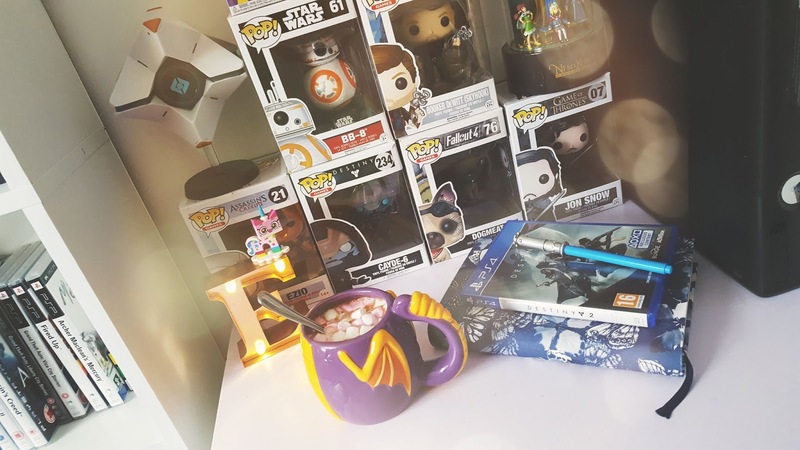 Although the kitchen in mine and James's house doesn't need to be decorated we do still need a few kitchen gadgets and I love kitchen gadgets so I've put together a wish list of things I would love for my kitchen. First up is the *Panasonic automatic Bread Maker SD-ZB2512, where James lived before we moved into our house, there was a bread maker I always wanted to give it a go because who doesn't like making their own bread? I love watching cooking and baking TV shows that feature bread making, most of the time the bread is done in the oven but I personally would prefer to use a bread maker. 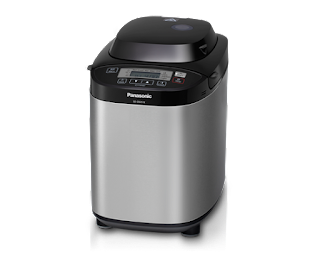 The reason I would love the Panasonic bread maker is that it would do all the hard work for more when it comes to making bread, that sounds lazy but if there is an easier way to do these things why shouldn't I use them? This bread maker has 17 types of bread programmes one of which is a pizza dough mode, I love homemade pizza it's always a fun thing to bake with your kids or your partner and you can make it exactly how you want it, you can use it to make jam with, I actually never knew you could do this with a bread maker until I started reading up about this one, it cuts down the time of having to stand around stirring jam, there is also a yeast and fruit/nut dispenser which will be dispensed through the bread maker to ensure an even distribution of ingredients throughout the bread. We will be able to make scones with one of these which James loves, I'm not a big fan of them but if we can make them at home in a bread maker that's a big upside for me as James and I enjoy freshly baked food, If I was to get one of these bread makers I would really like to give this recipe from BBC recipes a go (which you can view HERE), It's a classic white loaf recipe which I think James and I will be able to do easily, I know it's naughty but white bread is my favourite kind of bread. If you want to buy this bread maker it's a bit pricey, with a price tag of £199.99, but considering it has a lot of different functions I personally think it will be worth the price, and has some great reviews which you can read directly from their website. There are lots of other bread makers available that are much more affordable out there such as the ones on Amazon but I personally like the look and the features of the Panasonic ones and the reviews are what win me over, you can purchase the Panasonic bread makers from Amazon rather than the Panasonic website as they're usually on offer, which is where I would most likely get mine from. Everyone has heard of the kitchen aid, it has been something I've wanted a while now but I can't justify buying it as it's just a mixer, people tell me I should get a food processor instead of as it does so much more. 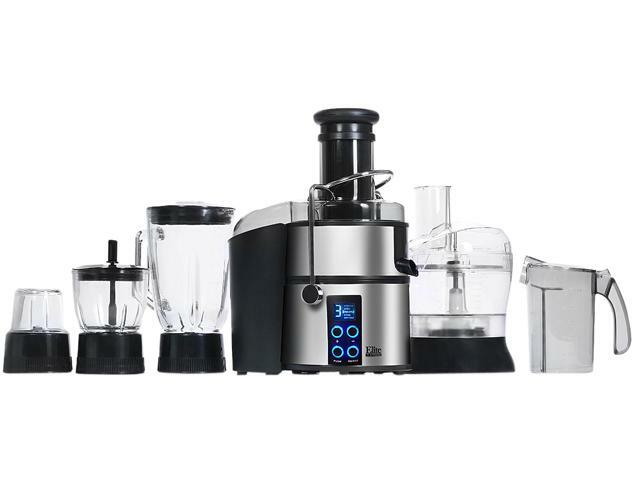 So I looked into a few food processors and came across the Maxi-Matic EJX-5105 Elite Platinum, it has a massive price tag of £369, I don't think I could ever afford a kitchen appliance that pricey but a girl can dream, right? It has a variety of features such as juicing, shredding and shopping as well as mixing which is easier to do when it comes to cake baking, the thing the always stops me from buying a food processor would have to be how long it would take us to wash it up ourselves because we don't have a dishwasher, taking it apart and cleaning all the bits would take longer than washing up a mixing bowl and a whisk but at the same time it's perfect for people who struggle with their hands and wrists and is a lazy baker's/cooks perfect tool. We haven't got a microwave yet, I still don't know how we have survived without one but we are managing pretty well considering cooking rice and spaghetti on the hob isn't that hard, we don't tend to buy microwave meals or reheat meals so we haven't been able to justify buying a microwave just yet. 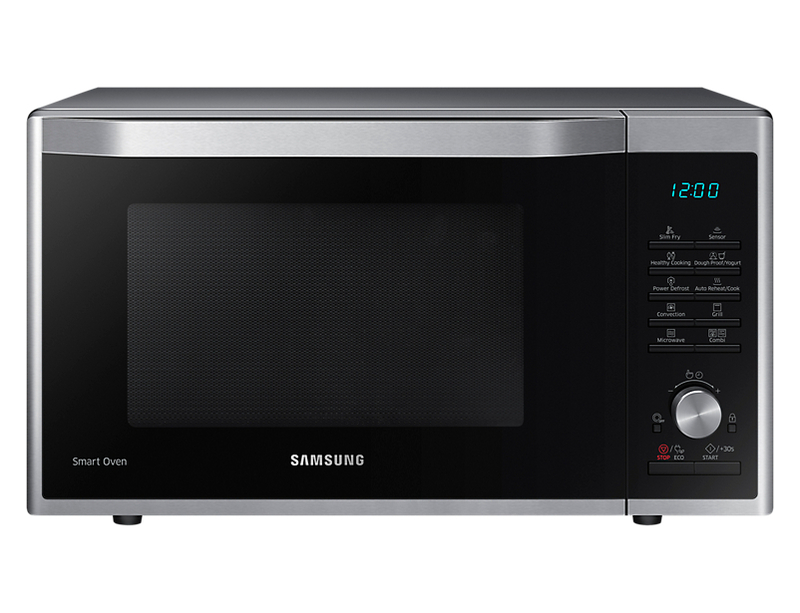 That hasn't stopped me looking at microwaves, though, the one I have been looking at is a combi microwave, you may say what is the point? But why not? I really like to look of the Samsung MC32J7055CT/EU it retails at £299 but it's on sale on Samsungs website for £229 at the moment, you can even make yogurt with it, which is a bit random to do with a microwave It also allows you to cook dough but I still would prefer to use a breadmaker to do all the hard work for me. The coolest thing about it is the eco mode, it reduces standby power consumption by up to 40% which is a huge upside to those who want to keep an eye on their electric bill. A steamer isn't something I often see on peoples kitchen wishlists but I personally prefer to steam my veg rather than boil them, there are plenty of cheaper steamer alternatives out there but I have my eye on, there Isn't always room for a steamer on the hob especially if you have a small hob. With the price tag of £109 (from Morphy Richards), it's more affordable than the other 3 products on my list. 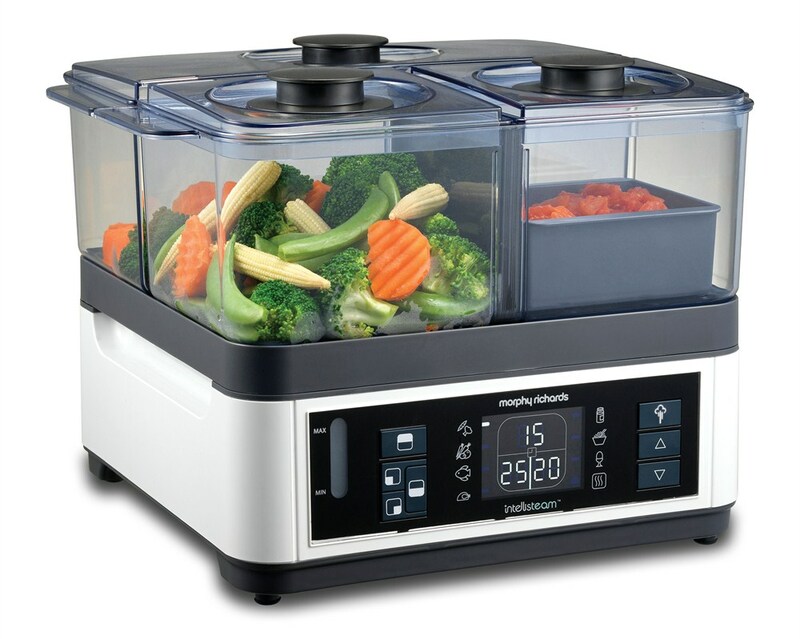 It has a 8.2 litre capacity and can cook for up to 4 people, you can personalise your cook times so each time you want to cook a particular thing the steamer already has the settings so you can just put the water and food inside the steamer and you're ready to start steaming. If your steaming is finished before the rest of your food it can keep your food warm inside of it for up to 40 minutes, timing food to all be done at the same time can be annoying so this is a really good feature. Does anyone else have a wish list for their kitchen? I love those kinds of hoovers, I have a dyson pet hair hoover which is pretty cool but those wireless ones look much lighter and take up so much less space. We have a microwave but rarely use it. It defrosts the odd thing and takes up too much space on my worktop really. I do love my slow cooker though and it is used frequently. They are good so much more than just stews - I make great quiche in mine too! I didn't even know you could make a quiche in a slow cooker, I will have to tell my partner so he can give it a go in ours.